Fun fact for you: I LOVE reptiles. LOVE. When I was little, my friends and I used to go reptile hunting in the woods behind our houses and try to find frogs and snakes. We made a club called the "RAAA" or, the Reptile and Amphibian Association of America. Was I a weird little girl? Yes, yes, I was... Anyway, weird little girls turn into adults with pet snakes, nail blogs, and a continued love for reptiles, so I was super excited when OPI sent me their new Nail Apps in Reptile! Now, OPI listed Reptile as one of the cream finish nail apps, but I see some definite metallicness here. 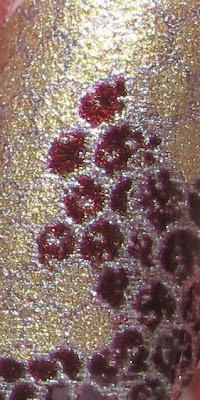 The base of the design is a gold and silver scale print, with some copper-y brown and coral scales randomly placed. This design is gorgeous and totally unique in the world of nail polish stickers. I have never seen a design quite like this. The combination of colors is pretty cool too. Depending on which side of the strip you use at the cuticle end of your nail, you can get more coral on the nail, or more of the copper-y brown. I really only used the coral on the pinkie nail, I should have shown more of it. See the pretty metallic finish? Not really a cream, and quite frankly I like that. This nail app was very easy to apply and the excess filed off very cleanly. 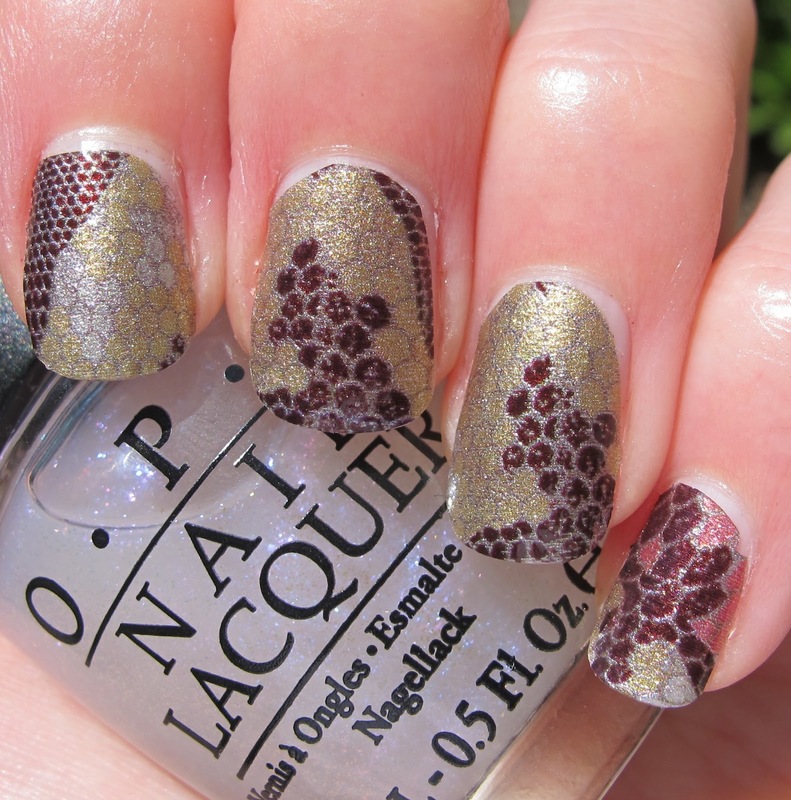 I think these Reptile nail apps were a bit easier to file that the Metallic Wave design I tried. Possibly the glitter in the Metallic Waves made the edges feel less smooth than the Reptile design. 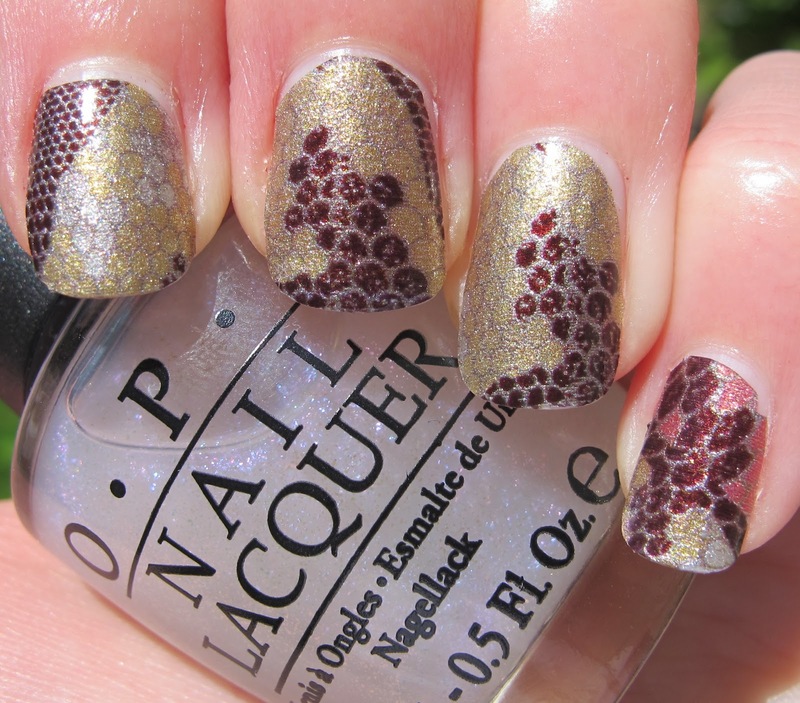 All in all, these OPI Nail Apps are killin' it. The two designs I've tried have been showstoppingly gorgeous and when I wear them, people grab my hands to ask what they are. I got 4 days of near-perfect wear from the Metallic Wave design and definitely could have kept wearing them for several more days. I know these are $11.95, but they are still cheaper than going to a salon for nail art and I think that makes them perfect for special occasions. I'm loving this design. Super cute! Me too MariJo! It was really easy to apply too! They are pretty awesome Peace, Love and Polish! I think they're worth the extra cash for a special occasion!